Since its early establishment, with laws dating back to 1831, the UK Taxi and Private Hire industry is recognised as one of the most regulated of its kind in the world. It’s a sector strategically critical to the UK’s transport network where today it services in excess of 600m journeys per annum. The UK industry is said to be worth an estimated £9bn per annum, which mirrors that of other transport networks such as buses and rail. Substantial investment in a strengthened management team, mobile application and dispatch technologies will see Veezu become one of the leading private hire operators in the UK. 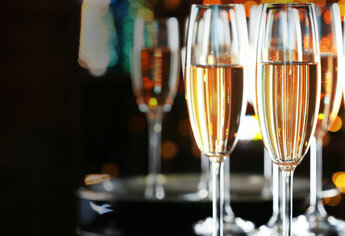 Providing private hire services and executive travel to B2C and B2B consumers throughout the UK. We’re targeting the acquisition of strong regional businesses across the UK to establish six strong regions by December 2016. We are very keen to talk to smaller private hire businesses with a view to joining forces. Substantial investment in new cloud-based dispatch technology, improved B2B and B2C offerings, in addition to mobile and driver applications, will see us achieve continued growth both organically and through acquisition. 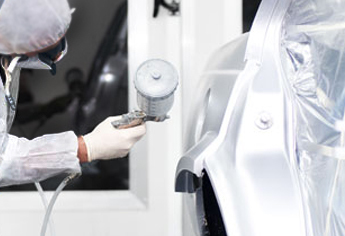 Enhanced earnings for self-employed drivers via a suite of competitive training, products & services. To become a self-employed Veezu driver, you will need to be authorised by the relevant local authority to become suitably licensed, and possess a vehicle which will require the necessary plating to become authorised for use as a private hire vehicle. Veezu make sure that all drivers go through an induction program prior to joining, to ensure we only work with the very best drivers available. Providing a door-to-door VIP consumer experience through stylish & comfortable executive transport. We are currently in the process of launching Veezu VIP, the purpose of which is to offer UK companies the opportunity of opening a business account. This will include express service, a dedicated pool of smart and fully trained drivers and a fleet of modern vehicles. 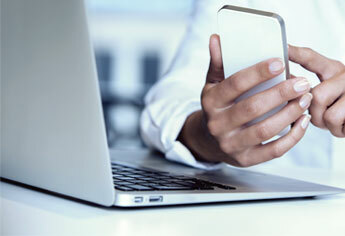 You can open a business account, or an individual account if you prefer an enhanced level of service. Both accounts are invoiced monthly in arrears. Providing claims management and credit hire services to private hire drivers throughout the UK. Veezu drivers automatically receive the full support of our Accident Aftercare Management service provided by Veezu Assist. 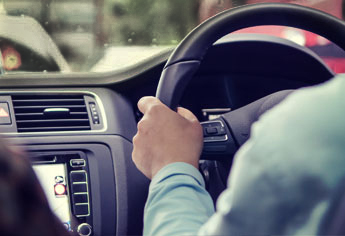 In the event one of our valued drivers is involved in an accident, Veezu assist will take ownership of managing the claim at point of incident through to settlement. We provide a Temporary Replacement Vehicle to ensure our drivers can continue working and earning. Providing private hire vehicle rental at competitive weekly prices throughout the UK. Veezu Hire is a one-stop shop for taxi rentals, and is available to both sub-contracted Veezu and non-Veezu drivers throughout the UK. Due to the size of our expanding UK fleet, we have used our buying power to negotiate new registered vehicles at affordable weekly rentals, with a number of well known vehicle brands. All rentals include vehicle servicing, tyres and insurance. Providing a suite of competitive insurance products for private hire drivers throughout the UK. Veezu is currently an authorised introducer appointed representative for Jelf Group plc, who specialise in personal and commercial insurance. Working in partnership with Jelf allows us to access and provide a diverse range of competitively priced insurance products for the private hire market. Our latest acquisition, V Cars, have held their first ever Driver’s Day in Bristol! 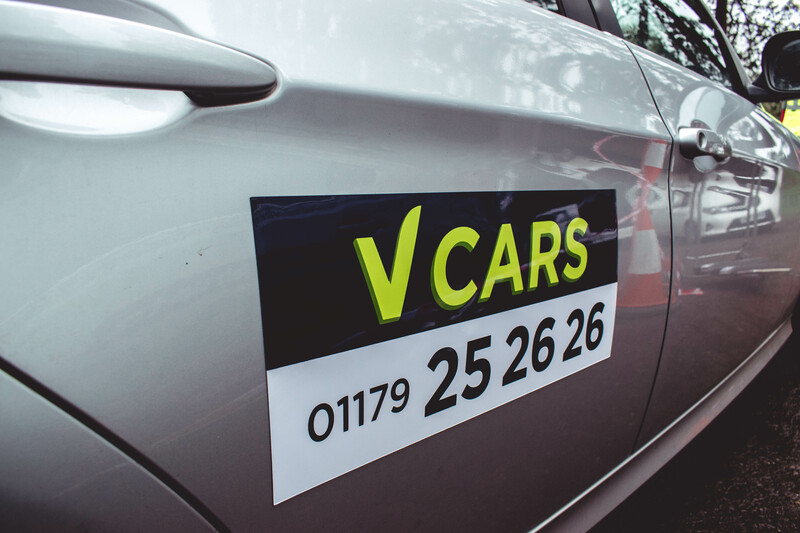 On April 10th and 11th our V Cars team held a fantastic 2 day event in Bristol to kick-start the launch of the V Cars rebrand whilst also undertaking the mammoth task of updating all driver documents. Over the 2 days, the team saw nearly 250 drivers and hosted 7 presentation groups. Managing Director of Wales and the South West of England, Ryan Owen, presented drivers with a renewed direction for V Cars, new initiatives and support available, and introduced some of the fantastic Veezu services available to them, including Veezu Hire and Veezu Assist. Veezu Group Marketing Manager, Carris Wakefield, showcased the evolving V Cars brand and introduced a fresh marketing strategy for the coming year. Whilst this happened inside, outside the team worked tirelessly to re-grade all vehicles and apply new V Cars livery, which can now be seen driving around throughout the city of Bristol. Overall the event was a massive success enhancing the relationships between Veezu, V Cars management and drivers. Veezu has pledged to donate 1p to the National Society for the Prevention of Cruelty to Children (NSPCC) for every booking made using its app over the next two years, as part of its new ‘big drive to stop child cruelty’ campaign. The company is rolling out the initiative across its four UK firms – Dragon Taxis in South Wales, Amber Cars in Leeds, A2B Radio Cars in Birmingham and Solihull and V Cars in the South West of England – in the hope of raising £50,000 for the charity. “The private hire and taxi industry provides a vital community service to individuals and families across the country,” said Joel Hope-Bell, Veezu’s chief executive officer. “As a significant national player in the industry, this feels like a very natural partnership for Veezu and one that we are proud to pledge our support to. The NSPCC is the leading children’s charity fighting to end child abuse in the UK. As well as delivering a number of local services that support children and their families it also runs Childline, which offers confidential support and advice to children and young people. The charity’s schools service also provides information and guidance for primary school pupils on how to speak out and stay safe from abuse. Peter Wanless, chief executive officer at NSPCC, said: “We are delighted that Veezu has chosen to support the NSPCC in its fight for every childhood. “The money raised from app bookings will support crucial services like Childline, which undertook nearly 300,000 counselling sessions with children and young people last year. 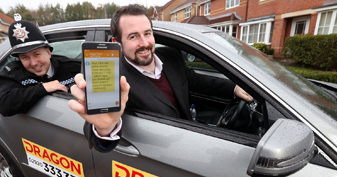 In 2016, more than 10,000 Veezu passengers used its “three-tap” mobile app to book journeys every week, and with more and more people turning to electronic booking methods to order a taxi, Mr Hope-Bell hopes the ‘big drive’ initiative could actually raise more than the pledged £75,000 over the three-year contract. The NSPCC helpline responded to almost 55,000 contacts from adults concerned about the welfare of a child in 2015/16. That same year, Childline, which is contacted by a child every 25 seconds, carried out 300,000 in-depth counselling sessions for children. It costs £4 for a trained volunteer counsellor to answer a child’s call for help. Private hire and taxi group, Veezu, has acquired a business in the South West of England, establishing its fourth taxi hub in the UK. Veezu has acquired V Cars, which has operations in Bristol, Bath, Chippenham and Swindon, from founder Dave Scaramanga who remains in the business in a senior management role. The Wales-based taxi group has three existing taxi hubs throughout the UK operating under their local brand names – Dragon Taxis in south Wales, A2B in Solihull and Birmingham and Amber Cars in Leeds. The establishment of the fourth taxi hub not only gives Veezu a presence in the South West of England for the first time, but also increases the number of drivers it provides dispatch services to across the group by 40%, up to approximately 3,500. 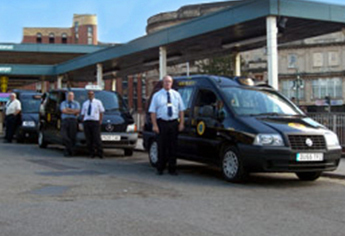 V Cars also operates as Abbey Taxis in Bath and Streamline in Bristol. It has been in business for more than 25 years and handles approximately 50,000 journeys every week. Veezu, one of the UK’s leading private hire and taxi groups, has appointed former chairman, Joel Hope-Bell, as its new chief executive officer. The 43-year-old, who has been the chairman and a shareholder of Veezu since the business was founded in 2013, brings almost 20 years of senior management experience to the role, having advised international clients whilst working at leading City finance firms, including Bank of America Merrill Lynch, UBS and Morgan Stanley, on mergers and acquisitions and capital markets transactions, as well as debt financing and restructuring. Most recently, Mr Hope-Bell was chief financial officer for Smart Solutions, where he will now return to his previous role there of chairman. Mr Hope-Bell succeeds Veezu co-founder Paul Ragan who, following his decision to step down, will remain a substantial shareholder in Veezu and will be staying on Veezu’s Board as a non-executive director. Mr Hope-Bell will execute on Veezu’s ambitious organic and acquisition led strategy following four years of sustained growth. “I’ve worked with Veezu from the beginning and am proud to have always taken an active role in this exciting company’s growth and development,” said Mr Hope-Bell, who grew up near Llandovery, Carmarthenshire and currently lives in Hampshire with his wife and four children. Veezu was formed in 2013 by entrepreneurs Mr Ragan and Mr Nathan Bowles and now operates across three regional hubs in south Wales, Leeds and the Midlands, transporting around 22 million passengers each year. The company owns Dragon Taxis in south Wales, which operates in Bridgend, Cardiff and Newport, as well as Leeds-based Amber Cars and A2B Radio Cars in Solihull and Birmingham. Aware of changes in the UK taxi market, Veezu has invested more than £1 million in developing a state-of-the-art “three-tap” mobile app that customers can use to book taxis, store their favourite pick-up locations and create individual accounts that can be paid by cash or card. A regular in Wales’ FastGrowth 50 league tables, Veezu was named the Fastest Growing Firm in Consumer Services in 2016, as well as the third fastest growing company in Wales. Between 2014 and 2015 it increased its turnover from £1 million to £19 million. “To be charged with leading such an innovative and ambitious company through the next phase of its development is an honour and challenge I’m very much looking forward to,” said Mr Hope-Bell, who graduated from the University of Leeds with a first-class degree in environmental science and is a qualified Chartered Accountant. Private hire operator, Veezu, has been named as the Fastest Growing Firm in Consumer Services as well as the third fastest growing company in Wales. The stellar growth of the company, founded in 2013 by entrepreneur, Paul Ragan, was recognised in the annual Fast Growth 50 Awards, which are compiled by Professor Dylan Jones Evans OBE, in conjunction with the Western Mail. Veezu achieved an astounding growth of 905.2% between 2013-2015, which helped to shoot it towards the top of the corporate growth charts in Wales, and bagging the number one spot for the fastest growing consumer business. The firm, which operates three regional hubs in South Wales, Leeds and the Midlands, has grown through an ambitious process of acquisition and consolidation. Over the course of three years, turnover has grown from £1m to £20 million; staff numbers have leapt from 25 to 235 and vehicle numbers have shot up from 250 to 2,500. Veezu now moves around 22 million passengers per year. Upon receiving the award, Paul Ragan said: “This is fantastic recognition of the hard work the team has put in over the past three years to propel Veezu into being one of the largest private hire firms in the UK. “We have grown from small beginnings to become a major force in the private hire industry, and are now better positioned to lead consolidation throughout the UK. This is the second time that Veezu has graced the Fast Growth 50 charts. It entered for the first time last year, when it was placed at number 37, meaning that it has climbed 34 spaces to its current number three position. 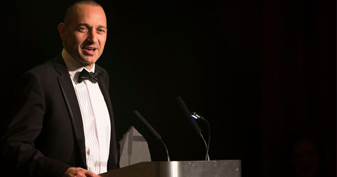 The Fast Growth 50 was established in 1999 by Professor Dylan Jones Evans and is billed as the award that entrepreneurial businesses in Wales aspire to. The 2016 list of fastest growing companies in Wales collectively generated a turnover of nearly £700 million and employed more than 3,000 people.